Getting Technical: Column Wheel | Watchfinder & Co.
We’ve talked previously about the chronograph in its various forms within these pages; now we’re going to expand on one of the most desirable—yet least understood—components of a high-end stopwatch: the column wheel. A quick recap on how the chronograph actually works: levers, activated by the top pusher, engage the wheels that drive the chronograph hands with the main timekeeping part of the movement. A second push disengages them again, while heart-shaped cams do the job of resetting everything back to zero when the bottom pusher is pressed. To avoid the disastrous consequences of trying to reset the chronograph mechanism while still running, a very specific component is needed. This is where the column wheel comes in. Historically, the positives of the column wheel design have been outweighed by the cost of its production, but more on that later. For now, let’s take a quick look at the column wheel’s poor relative, the cam. A flat piece of shaped metal, a cam, when engaged by a sprung lever, is forced to return to a predetermined position. The heart shaped cams on the reset mechanism are ideal in this regard, precisely relocating the hands to zero while remaining compact and dependable. 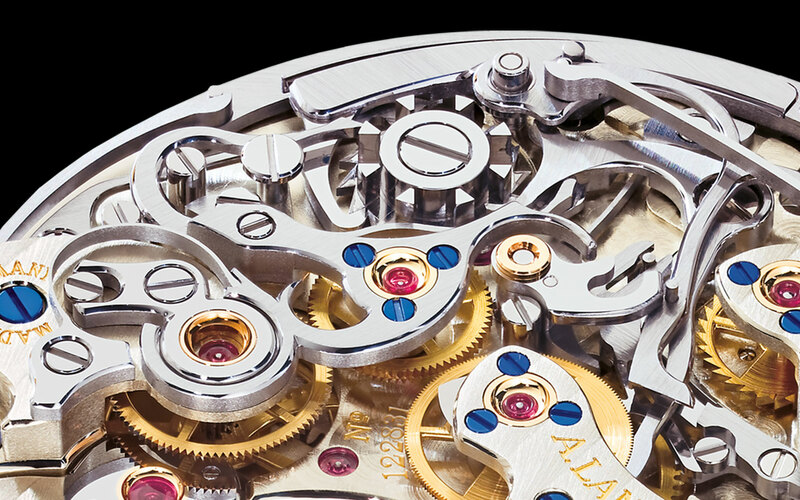 For the actuation of the chronograph, the cam needs to be a little more complex, layered in two pieces. 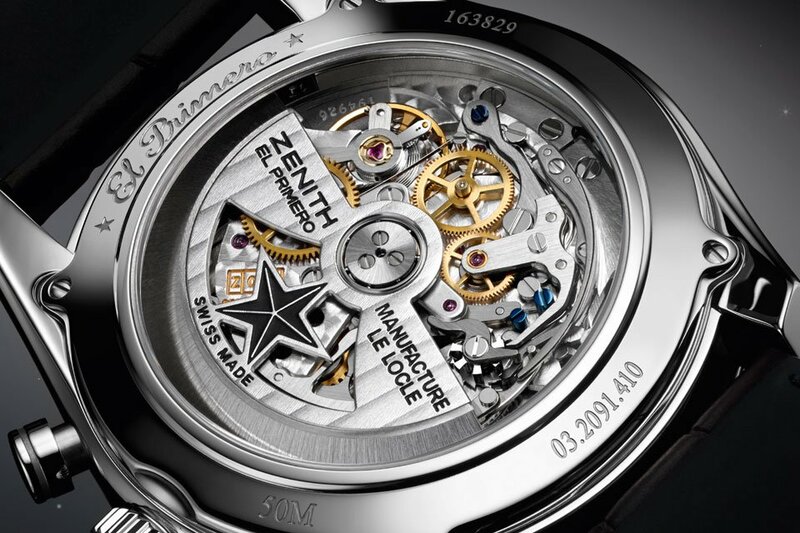 One layer receives the input from the pusher, while the other transmits the input to the clutch, where the connection between the chronograph mechanism and the movement is made. A secondary function of the cam is to block the reset mechanism while the chronograph is in operation, preventing catastrophic failure. The column wheel does exactly the same job, but is built in such a way to provide more accurate, more precise functionality, which can be felt through the pushers as a cleaner actuation. Where the cam is two layers of metal, the column wheel is a single piece, and very difficult to manufacture because of it. Comparable to a castle’s turret, the column wheel is driven by the fine teeth around its lower circumference, while performing the same activation-blocking process using the turret-like formation. Beyond the precise feel, a column wheel provides little more benefit. It is argued that a cam-actuated chronograph experiences slack when started, characterised as the chronograph seconds hand skipping forward, but this is thought to be more an issue with the use of horizontal versus vertical clutches (where the chronograph’s mechanism meshes horizontally rather than vertically with the gear train), with the more common cam-actuated chronograph typically featuring a horizontal clutch and the column wheel variety a vertical. Really, the allure of the column wheel is all about the skill and patience needed to create one. Even now, with CNC machining taking on much of the labour, a column wheel still needs to be expertly hand-finished to remove the burring and ensure it meets tolerance. The very best chronograph movements have them—for example Patek Philippe’s CH 29-535 PS and A. Lange & Söhne’s L951.5—wearing them as badges of excellence and offering the precision feel expected from such high-end pieces.